Until the last 6 months, I have only bought three horses in my life and one more with my husband Andrew. Seven total if you add the time we went to the ranch I bought Summer from in South Dakota and came back with a weanling Quarter Horse and two weanling Miniature Horses. My first horse Saint was an 8-month-old Andalusian Morgan cross from a private owner. 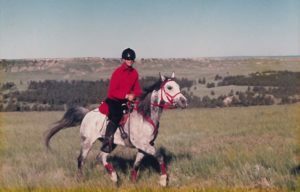 Summer I bought off the SD ranch I worked on in the 1990’s, Josey at a yearly local QH breeder sale. All of them except one were two and under and all of the South Dakotan’s were “killer price”. Not because they were destined for the slaughterhouse, but that was just the rancher’s way of giving us a deal. No Pre-Purchase Exams and somewhat of a risk as youngsters. My last riding horse was a homebred, Summer’s daughter Ruby. Ruby was a great riding horse, but not a safe family horse to have out in the yard. In September, we found a wonderful new home for Ruby which seems to be the perfect fit for her and her new owner. Of course I couldn’t be horseless for long. For weeks I browsed through the outlets of DreamHorse.com and some of the Facebook horse groups. What did I really want? I am not getting any younger and this could possibly be my last horse. Choosing a breed and a discipline is a struggle for me. 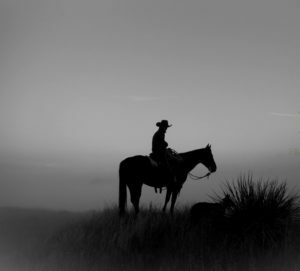 In another life, as the Toby Keith song goes, “I should have been a cowboy, I should have learned to rope and ride, wearing my six shooter, riding my pony on a cattle drive…” No matter what breed I have had, I have enjoyed taking my horses into western and English disciplines like Versatility Ranch Horse and Eventing. None of us like to be defined or put limits upon, right!? Whatever breed I chose, I would still be a cowgirl! What was my dream horse? A great brain and disposition was the number one priority to have around my boys. Then soundness and versatility. Quarter Horses and Thoroughbreds will always have a spot in my heart, but Irish Sport Horses have been on my radar since my time in Ireland. Plus, in the past few years, I have enjoyed the people and the challenge of Eventing and what the heck, what better horse to Event on than a ISH. The intelligence, stamina and loyalty of the Thoroughbred plus the sensibility, heartiness and amazing jumping ability of the Irish Draught, in one package. Also, sometimes pricy and hard to find. Thanks to a local friend, not as hard as I thought! We arid climate people need to remember that in climates with prolific grass, horses are more plentiful and can less expensive. The simple economics of supply and demand. My friend Barb had just found a ISH in Illinois that was sound, reasonable and awesome. Turns out, several local people bred to his ISH sire who Southern Illinois University stood through their Equine Science program. Barb made some calls and found Molly, a 3-year-old filly by the same sire that was going to go up for sale. But, Illinois? Do I fly, do I drive? I have been to Holland horse shopping with friends, but this was not my own usual territory. I started the process of finding something wrong with her to save my self the trip. I had a friend that lived in the area go by to see her, check. I found a veterinarian to make sure she didn’t have things that were deal killer for me as well as a PPE, check. I found another veterinarian that could do digital X-Rays, check. Time to get on a plane. Rode her, loved her, great personality, great brain, check. Why didn’t I bring the trailer? I found a ride back to Colorado for her a couple weeks later. 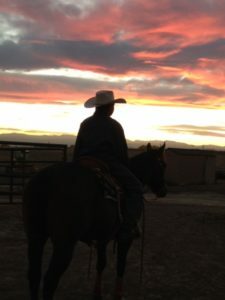 All this to say, learn from my experience of buying a horse from afar and here is what I would do differently the next time, if there were one. I would still have had my friend go by to see her and look for my deal killers. Then I would have made a PPE appointment at the closest large equine clinic with a great reputation, driven out to Illinois with my trailer, seen Molly in person, tried her out and then kept my appointment at the clinic and if all went well, headed home horse rich and cash poor! We often define and put far too many limits on ourselves and those around us because of age. 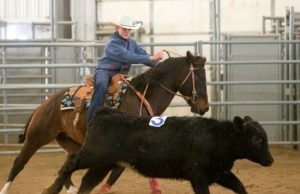 Two of our local riders and an incredible horse named Sage have raised the bar and proved that attitude overrides age. Sage is a 30 year old Saddlebred who was adopted by Centaur Rising at Anchorage Farm in Pine in 2013. A home with Kris and Jim Cooper was a great fit. Jim is constantly monitoring Sage’s condition and needs. Sage needed an experienced horse home because of his special feed and care requirements in his maturity and wouldn’t we all! Under their care and active riding program Sage has flourished. When he arrived, the life was gone from his eye. His initial gaits did really did not include a true trot or canter. He had never learned to do circles and was very one sided to the right. Then Leanne Tousey entered his life and helped him reach his riding potential. Leanne, a mountain area resident, is a lifetime dog and horse lover. Leanne grew up riding at summer camps, but despite her pestering, her parents would not buy her a horse. She was married to her husband Mike in 1965 and they eventually moved their family from northern Iowa to southern California. Riding horses was one of the sports that kept their kids busy. Leanne’s daughter spent a significant amount of time training, showing and enjoying time at Cal Poly Pomona Arabian Farm. Leanne’s dream was rekindled there to someday return to riding and more specifically to focus on dressage. 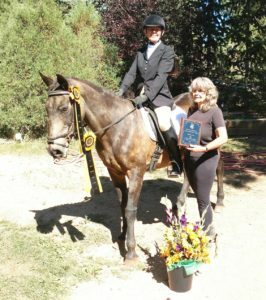 After thirty years of breeding and showing Miniature Schnauzers, culminating in handling a dog she bred to a Best in Show, Leanne decided it was time to follow her dream to return to riding. In September of 2015 at the age of 72, Leanne found Kris Cooper, trainer and owner of Anchorage Farms. Kris was happy to take on the challenges of an adult beginner and the rest is history. Kris, a couple years younger than Leanne, understood the challenges and limits Leanne may have. Kris describes Leanne as more agile than someone half her age and rides because she really enjoys it. Kris credits Leanne with working with Sage to learn to leg yield, turn on the forehand, something he had never learned before and was quite resistant to in the beginning, and how to stop without being pulled on. He even does shoulder-in! This year, Kris and Sage worked together to earn their Century Club Membership through the Dressage Foundation (dressagefoundation.org). The Century Club recognizes Dressage riders and horses whose combined age totals 100 years or more. Horse and rider perform a Dressage test at any level, at a Dressage show or event, and are scored by a Dressage judge or professional. Then on August 14, 2016 Leanne and Sage earned their membership into the Century Club. Congratulations to Kris, Leanne and Sage! Conifer Stables Welcomes New Owners! Conifer Stables is open for boarding! Dale and Kim Johnson have taken over the reins at Conifer Stables, 9229 County Road 73 in Conifer. In 2013, Dale and Kim moved their family from the Western Slope to start a transport business in the Denver area. Wanting to find that small town feel on this side of the divide with great schools, they found exactly what they were looking for in Conifer. Initially, they started renting a home on Shadow Mountain. When it was time to start looking for a place to buy they came across Conifer Stables. When they first walked the property, they were struck by the potential and the chance to raise their kids in an agricultural environment. The combination of the business and the horses were an ideal situation for them. Dale grew up in Rifle and worked on some of the smaller ranches around Rifle and Silt. Part of that work gave Dale the opportunity to spend time with horses, which grew into a passion for him. 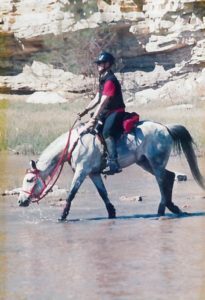 In fact, in 2002 Dale and Kim were married on horseback. Dale trained two horses from a ranch he worked on that were not started yet for them to use in the wedding. They were married in a round pen with the guests on hay bales and the wedding party on horseback. 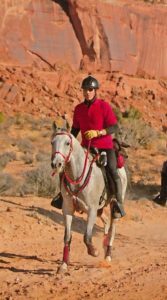 Kim, born and raised in Glenwood Springs, also has had a passion for horses and animals since she was young. Her love for animals brought her to a veterinary clinic in high school where she volunteered and then ended up working at for four years after high school. 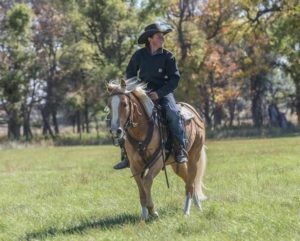 With a combination of good business sense and an innate sense of personal customer service, they are striving to have the best horse boarding business in the area, well known for its excellent care of the horses. While the business side is the foundation, the care of the horses and their well-being is paramount to them. They are there to care for the horse and their owner. Dale and Kim are looking forward to meeting new people and becoming more ingrained in the local community. They hope to connect and support the mountain community by offering their own time and talents. They are exploring new ways to open up Conifer Stables by hosting clinics, 4-H groups and summer camps. 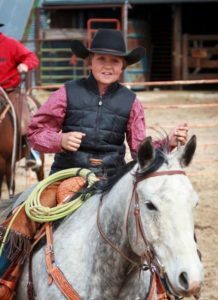 While offering an excellent place for people to board their horses, they also want their kids to grow up here, learning strong values and responsibility. Their desire is for Conifer Stables to be a family run operation and to keep the family orientation in the business. They have three children Jordan 21, Dakota 13 and Sierra 10. Feel free to contact me if I can be of any assistance in helping you find a challenge or to share your horse story. [email protected] Heather McWilliams © 2016.